A basic yet comfortable option in the savvy Belgravia district. Just 20 minutes walk from the shops in Knightsbridge. If Harvey Nichols, Harrods and all the snazzy designer boutiques of Knightsbridge are the reason you are in London then it makes sense to grab accommodation that allows you to lug your bags back across town without having to fork out for the usual tube and taxi fares. The good news is that this hotel is little more than a 15 minute walk from all that. 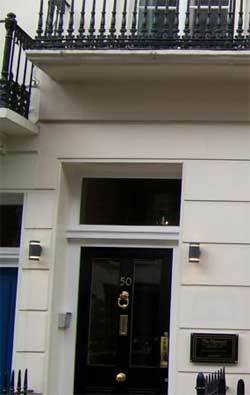 Located in the fab and fashionable London Belgravia is just a few hundred yards from Victoria coach and train station. All eaton guest rooms are en suite and feature everything from flat-screen LCD TV and tea/coffee making facilities. A hairdryer and minibar are also provided. All meals are served in the restaurant at the sister hotel, Topham Hotel, which is located a 1-minute walk from the property. The Eaton Square Hotel has a bar and a 24-hour front desk for flexible check-in.